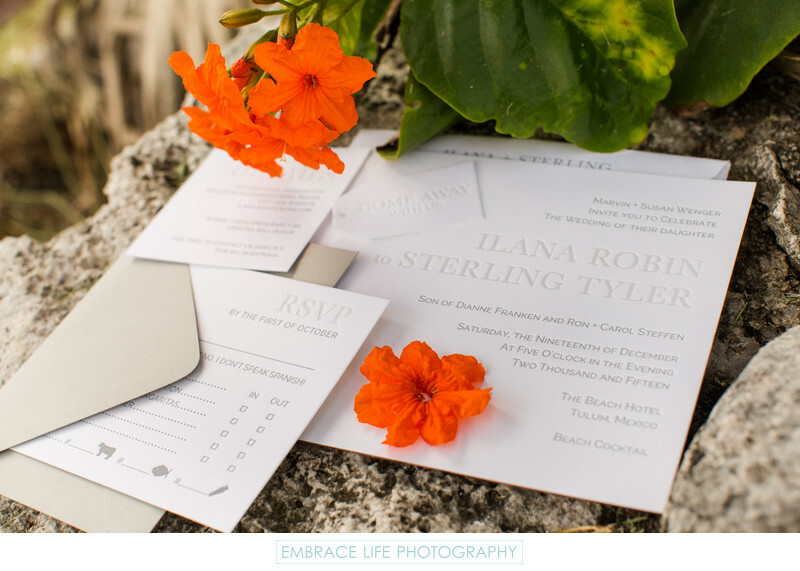 For this Mexico destination wedding photographed at The Beach Tulum Hotel, the bride and groom's incredible letterpress invitation stationery is shown arranged among the coastal Mayan ruins near their venue. The travel themed stationery has a soothing light grey and white color pallet and with metallic copper gilding on the edges of the thicker stock. The whole bundle was tied together in a glittery, copper ribbon. Keywords: Details (1125), Stationery (78), Wedding (1437).